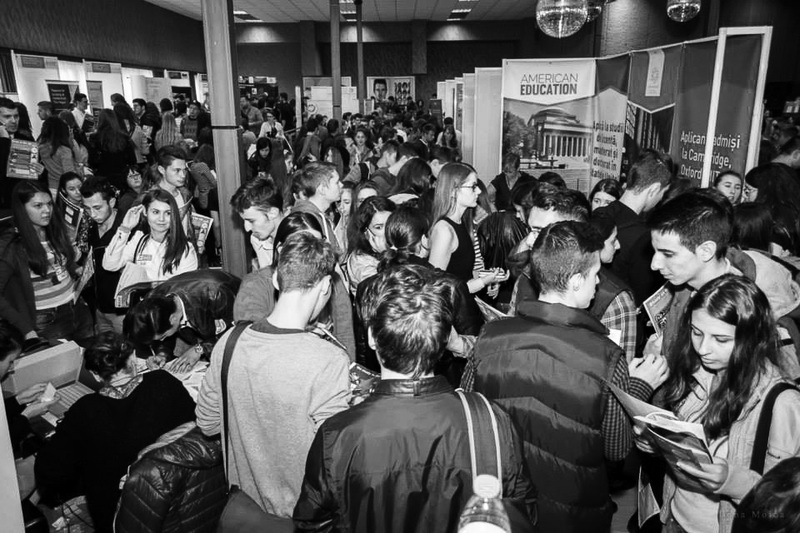 Romanian International University Fair – RIUF is the largest recruitment event in Romania and Eastern Europe. Annually, over 100 educational institutions from over 20 countries come to recruit academically valuable Romanian students at RIUF. 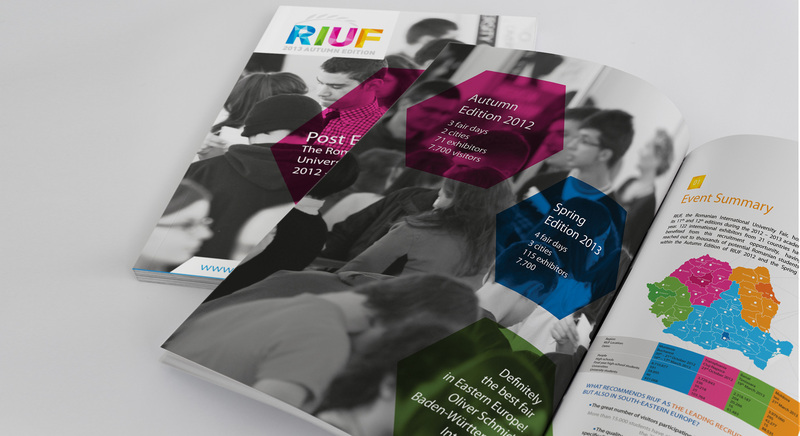 For each edition, RIUF used to change their logo and identity, making it hard for the consumer to have a clear image of the brand. We proposed a versatile logo and an identity that could easily be adapted, for each edition by using, in turn, one dominant colour from the logo. 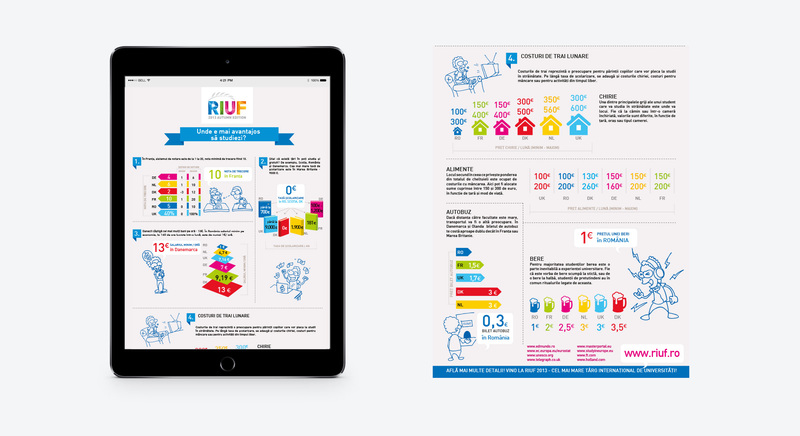 This helps the brand have a consistent communication and, at the same time, to be dynamic and to transmit the idea of diversity they wanted to communicate.